Recent figures show that US car manufacturer Jeep has increased sales of new vehicles in the UK by more than 115 per cent, reports CarDealer magazine. According to sales figures produce by the Society of Motor Manufacturers & Traders (SMMT), Jeep was the leading manufacturer as far as growth was concerned, with new UK car registrations for the brand increasing 115 per cent. This was the largest year-on-year growth recorded by any of the car manufacturers. In total, the 4x4 marque sold 1,303 new cars in the UK in April 2016, compared with 605 sales during the same period last year. With renewed interest in the 4x4 market as demonstrated by the sales of Jeeps, dealers may be thinking of adding more stock to their showrooms to meet the increased demand. As part of this process, all car dealerships should ensure they regularly update their motor trade insurance. The sales figures for April also gave Jeep a market share of 0.69 per cent, which is the largest the US manufacturer has recorded since 1997. In terms of models, the Jeep Renegade continued to dominate sales, with 1,058 of the small SUV registered in the UK throughout April. 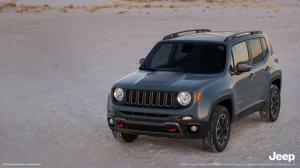 The next two most popular models were the Cherokee with 122 new registrations and the Grand Cherokee with 104. Damien Dally, the head of brand for Jeep in the UK, said: “2016 is a very special year for Jeep, not only are we celebrating our 75th anniversary, but we are also celebrating some truly fantastic sales milestones for the brand.